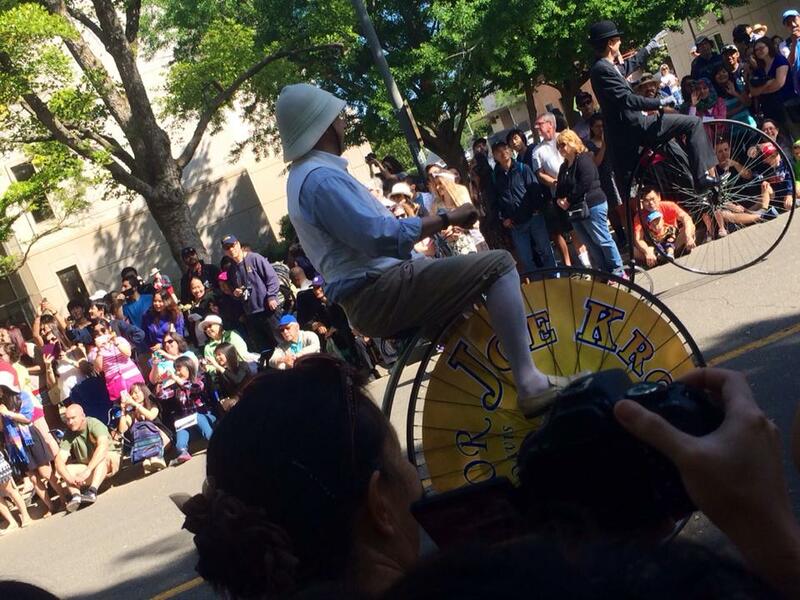 Today I went to UC Davis’ one hundredth Picnic Day celebration. I’ll just be doing a few pictures or today’s post. Picnic Day is basically a county fair that takes place on a college campus. 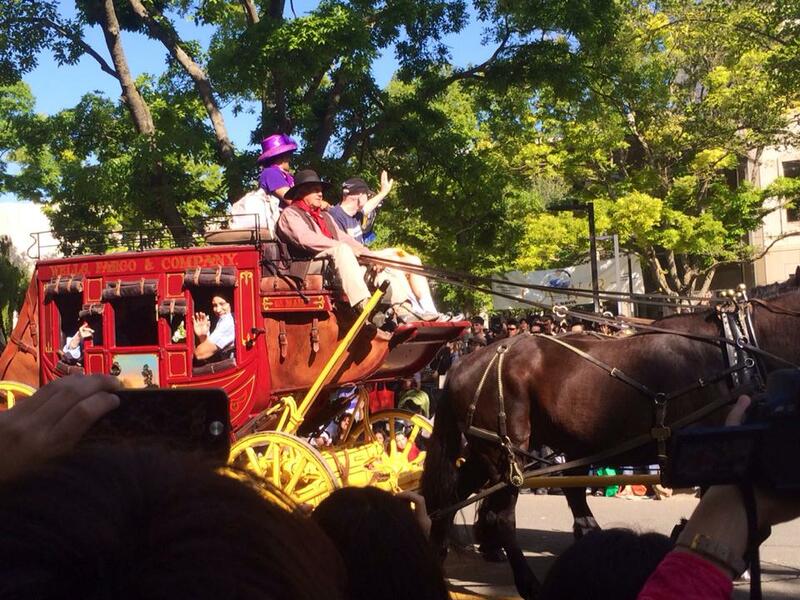 First there was a couple of speeches and then a parade! 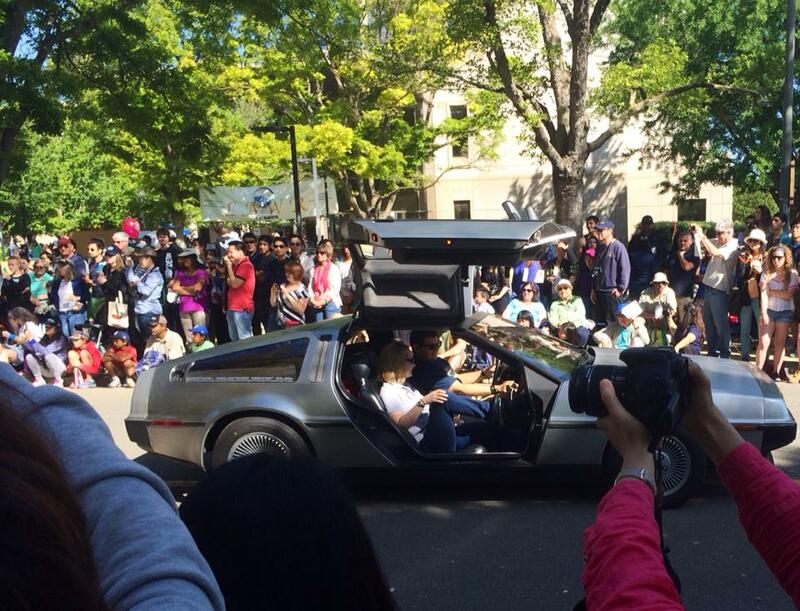 There were about seven DeLoreans in the Picnic Day Parade. This is just one of them going down the street. A Wells Fargo stagecoach pulled by four horses. The lady in the purple hat was the best speaker for the opening of Picnic Day. A horde of old fashioned bicycles participated in the Picnic Day Parade. 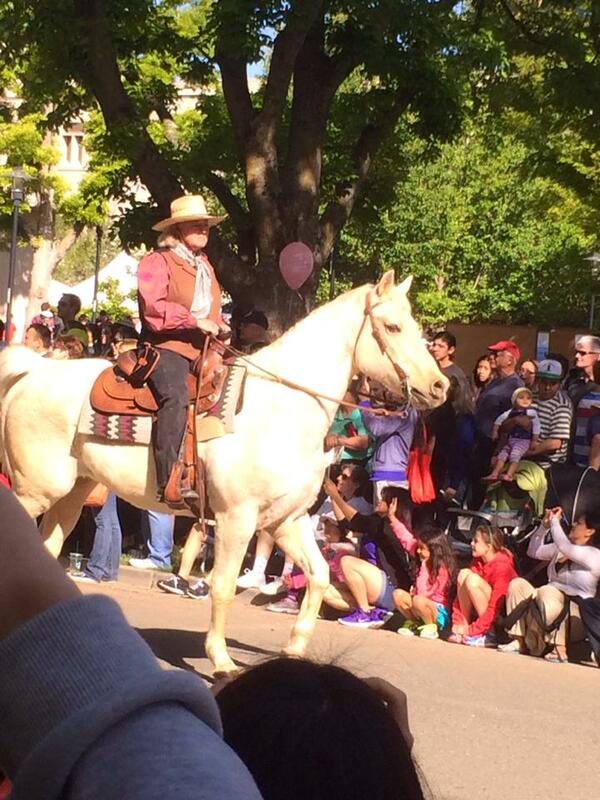 A cowboy on a horse during the Picnic Day Parade. After the Parade my wife and I went to see the Disc Dogs competition. The dogs have to catch a bunch of frisbees in one minute and bring them back to their master. The dogs get more points for more frisbees and if the frisbees are thrown further. 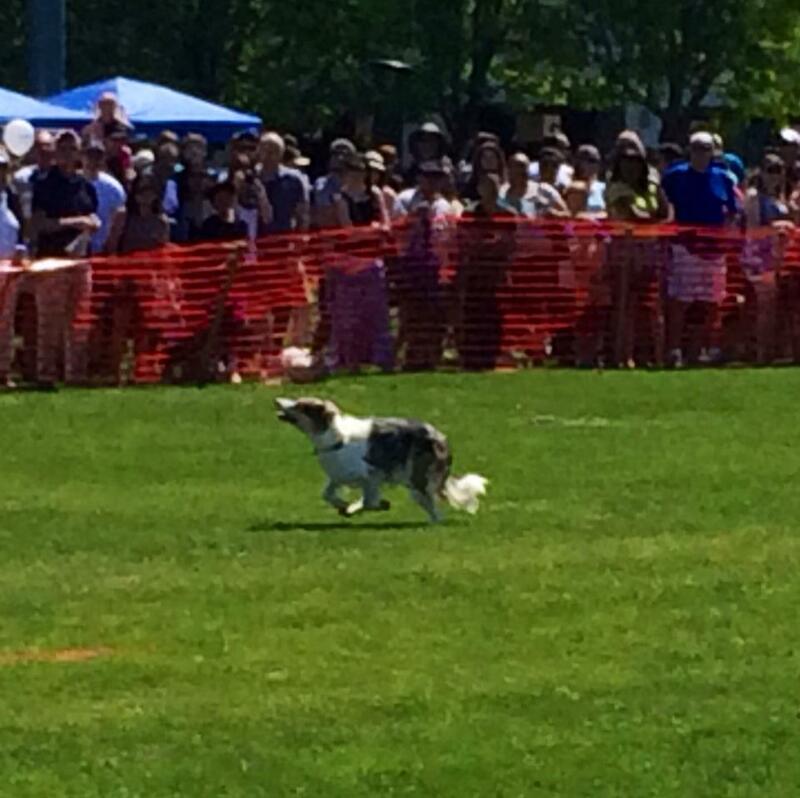 A dog running after a frisbee at Picnic Day. The frisbee is near the top of the frame. 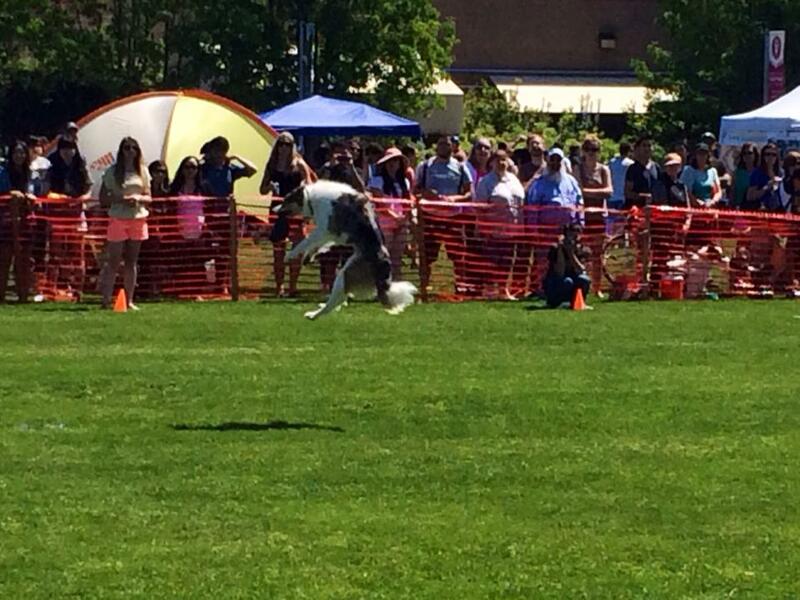 One of the dogs catching a frisbee in midair at Picnic Day. 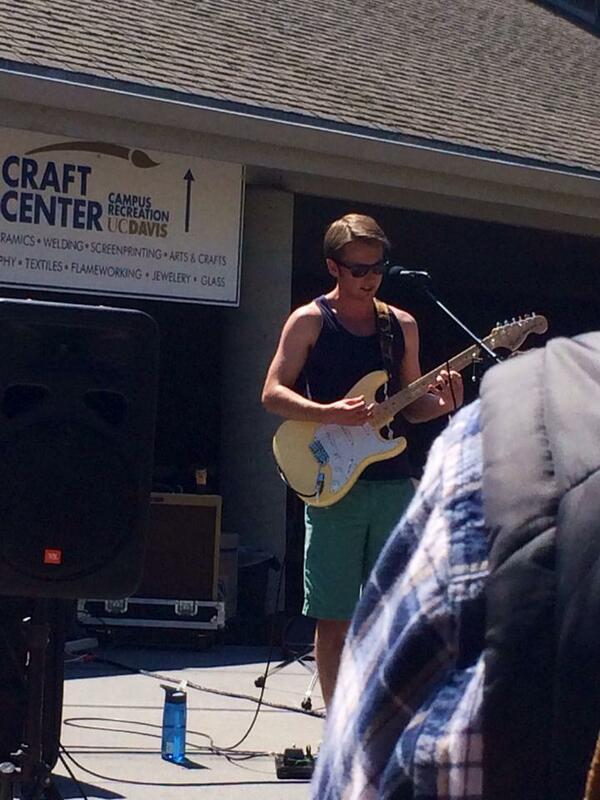 After lunch we went to see a cool local rock band, Crow Canyon! The three members, Riley, Nathan, and Drew, are in high school. You can check out their music at http://www.crowcanyonband.com/. They have free music samples! 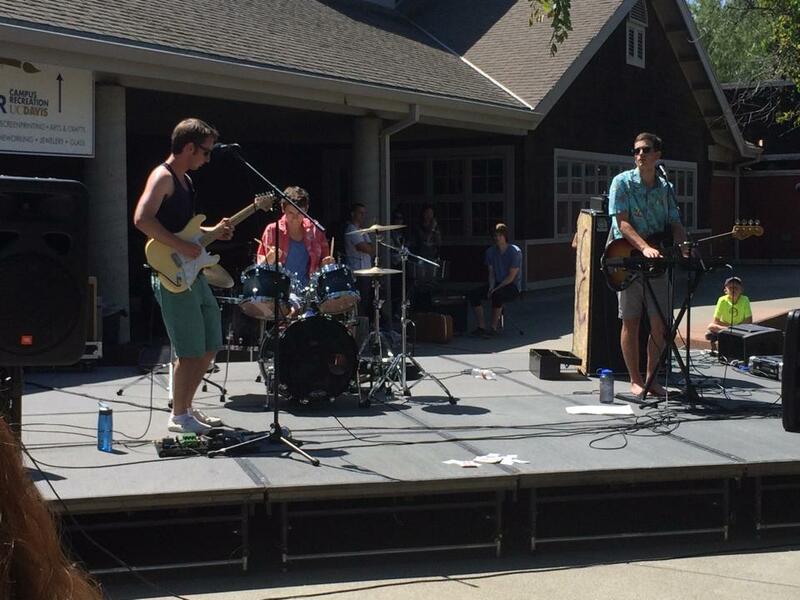 My favorite local band, Crow Canyon, playing at Picnic Day. One of the singers, Riley, in my favorite local band, Crow Canyon. We went to a small petting zoo set up by the stables. We got to pet some young cows, sheep, and goats. 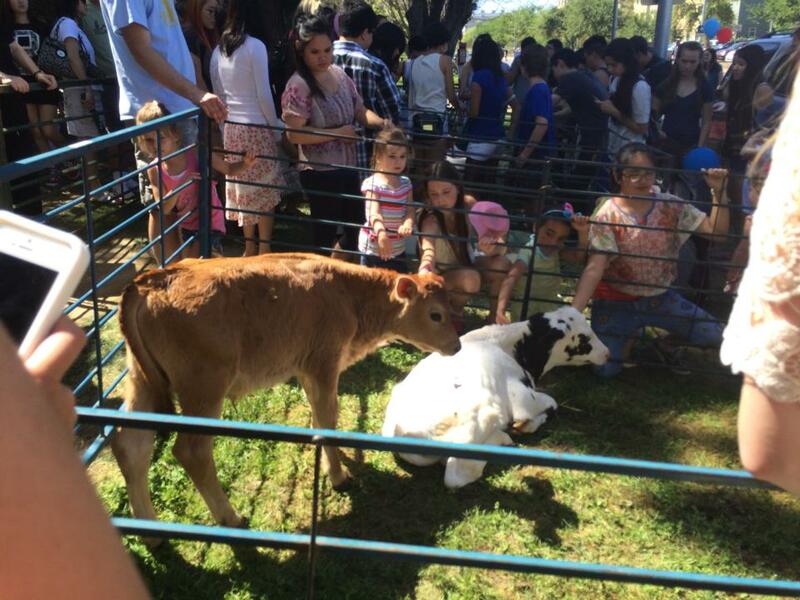 Some young cows at the Picnic Day petting zoo. 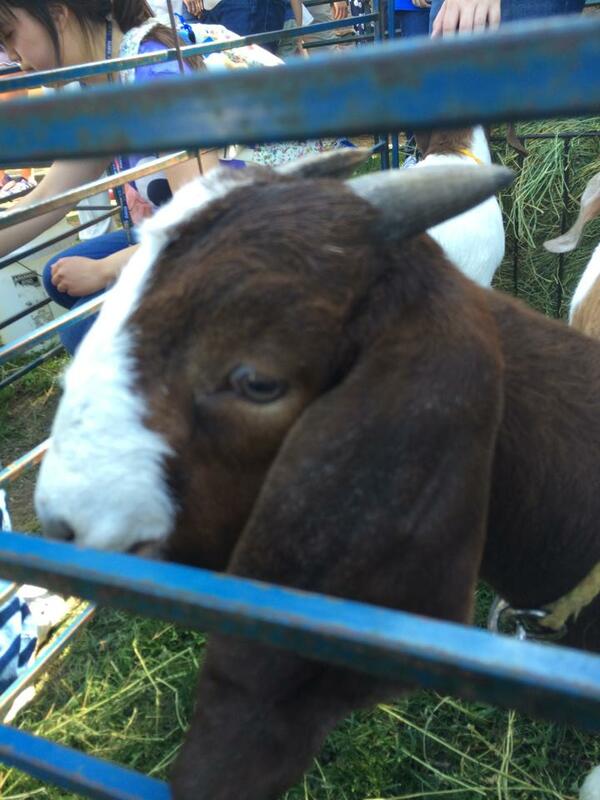 A goat at the Picnic Day petting zoo. And I also got some new pictures for the blog in general of horses and CORRALS.